Hello everyone. 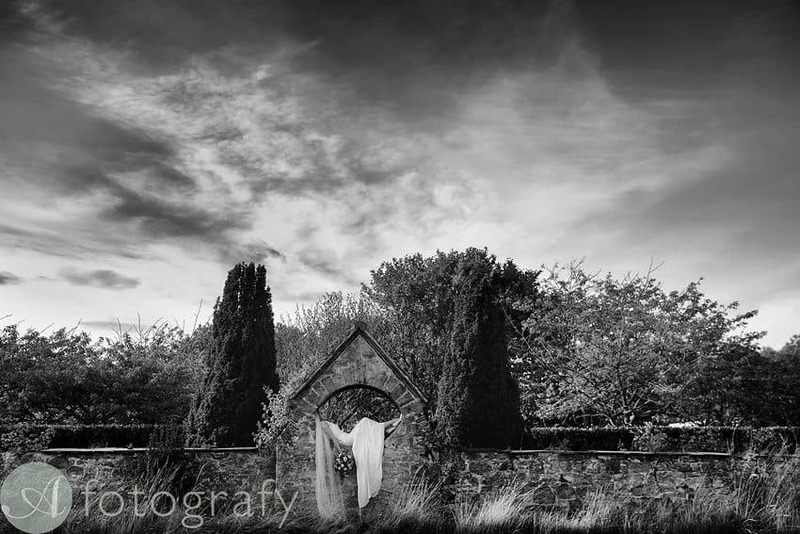 Recently I had a pleasure to photograph beautiful wedding at Greywalls, East Lothian. It was my first wedding there and from the moment I first arrived there, I knew this will be awesome setting for a big day. Full of ideas and arm length list of images I want to create I headed out for their big day. Whole day was very relaxed. Nice slow start with girls getting ready, boys having good time meeting their guests and me and Daniella recording the day. Loved many facts about their big day. First of all the dress, wow, that was one very beautiful wedding dress from Kavelle. Make up team from http://www.lauragray.co.uk. Laura and team you did fabulous job. Bridesmaid dress from Pretty Woman – Dessy. Loved Monza, little boss :) She definitely loved being part of the day and loved seeing her around. Cake came from Liggy’s Cake Co. I think design was awesome. Another highlight of the service providers was author, Jenny Harper. Guys decided to take non traditional route and instead of having a videographer, they opted for someone to write a novel about their big day. Can’t wait to read it. It was lovely to meet you Jenny. Here is what Emily and Graeme said about their day. “Your wedding day is supposed to be the happiest and most nerve-racking day of your life. Whilst the former is true, the latter – in our experience anyway – was not. After a dismal summer the sun shone on our wedding day so there was no stress about the guests getting cold. No only did the weather deliver, so did the all people we chose and entrusted to bring all the other, many elements together to deliver the perfect day. We began with the guests having a drink on the lawn at Greywalls in glorious sunshine, the piper eventually leading everyone through to the stunning marquee erected by Best Intent. At this point the nerves should have been kicking in but, upon mutual reflection, they didn’t. We were lucky to have a dear friend as our celebrant, all our closest friends and family were there in their finest, the incredible staff at Greywalls working tirelessly and quietly in the background led by Gavin. Everything felt easy and relaxed. And all of this detail was being captured in words by an author, Jenny Harper, rather than the traditional videographer, and of course in pictures by Armands and his assistant Daniella. As you can see, this was beautiful day and big thank you for allowing me to be part of your special day. Planning Your Wedding Day? Want to know how to choose wedding photographer? Check my wedding photography guide for couples HERE.